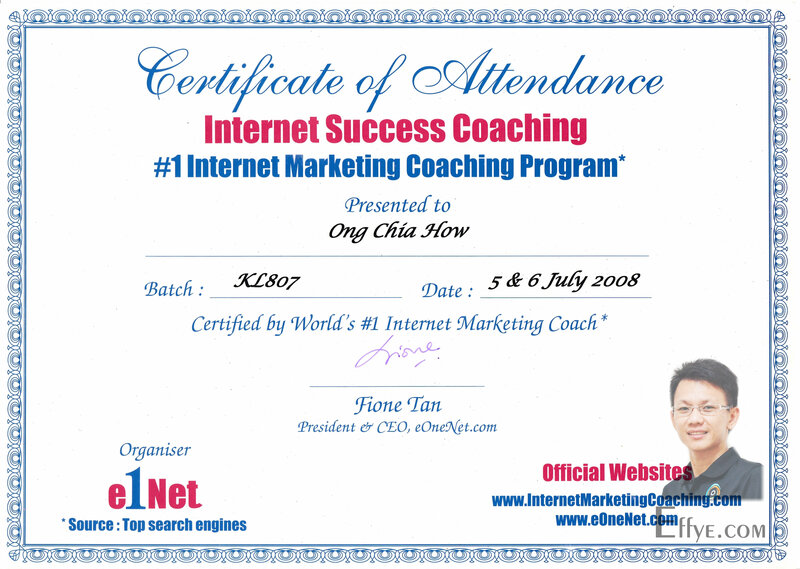 Certificate of Attendance Internet Success Coaching – 1 Internet Marketing Coaching Program. 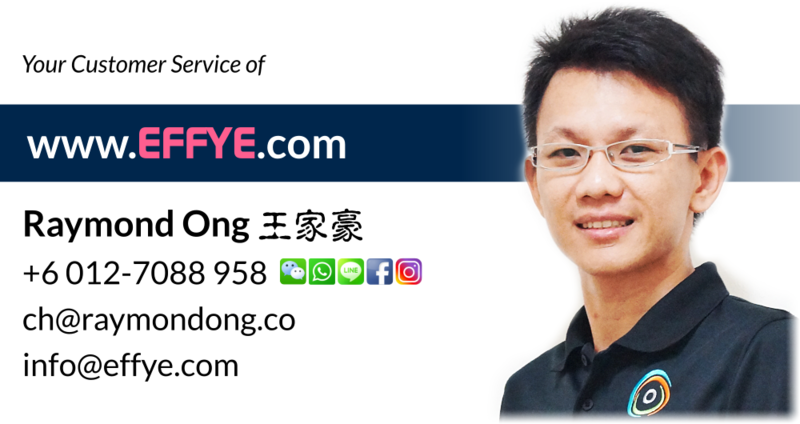 This certificate is awarded to Raymond Ong Chia How has successfully completed training at 11Street Academy for Foundation of E-Commerce and Digital Marketing. Thank you for the demonstrating the continued commitment required to achieve excellence and success. 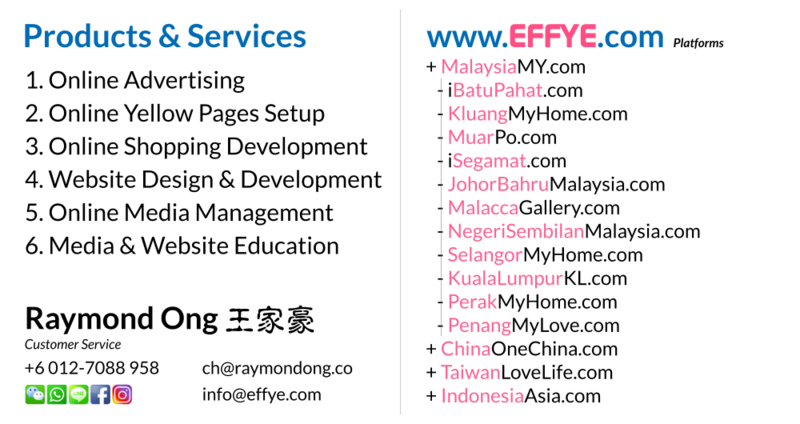 In partnership with Google Adwords, Facebook and Malaysia Digital Economy Corporation (MDEC). 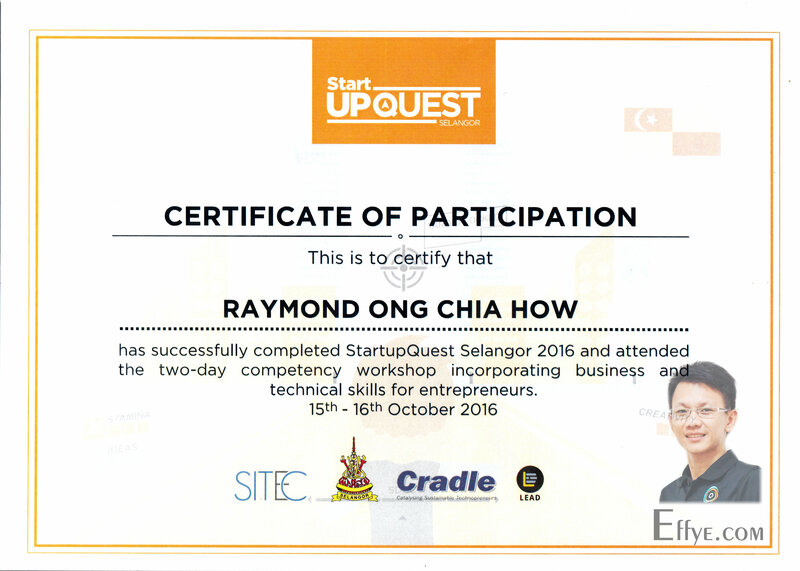 This is to certify that Raymond Ong Chia How has successfully completed SatrtupQuest Selangor 2016 and attended the two-day competency workshop incorporating business and technical skills for entrepreneurs. 15th – 16th October 2016.
by SITEC, by Selangor, by Cradle, by LEAD. 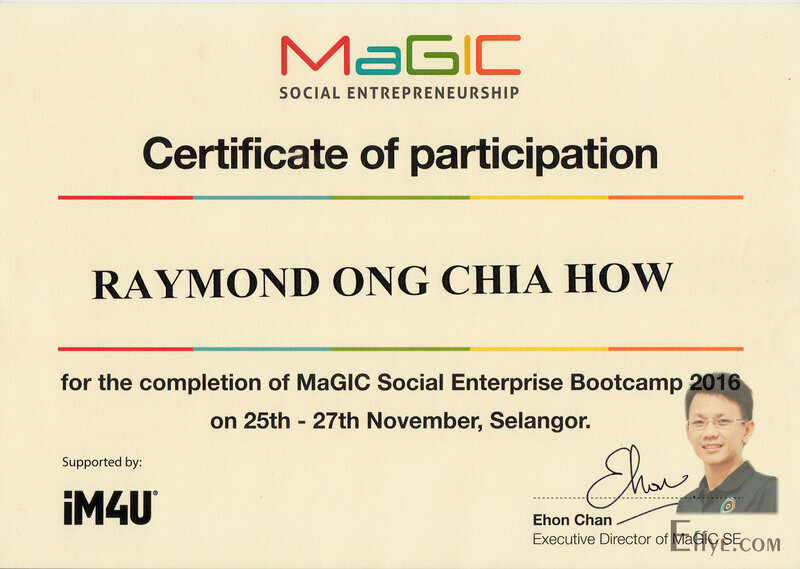 MaGIC Social Entrepreneurship Certificate of participation Raymond Ong Chia How for the completion of MaGIC Social Enterprise Bootcamp 2016 on 25th – 27th November, Selangor, Malaysia. Shin Chan, Executive Director of MaGIC SE.